Step 1 » Before installing eclipse you need to install java , you can either install JRE or JDK . Step 5 » Create a new desktop file eclipse.desktop in /usr/share/applications/ and add the below lines . Step 6 » Now goto /usr/share/applications and find eclipse.desktop file for launching eclipse , you can drag this file to the launcher. I’m new on ubuntu. I installed ubuntu 14.04 LTS. I’m trying to install eclipse for java developing. It’s saying me, don’t permission to root. To copy .desktop file change your working directory which contained .desktop file and type following in terminal. Thanks so much…figured out what was wrong. Hi Thanks for the guide. I was able to install eclipse in Ubuntu 12.04 and get it working but somehow when I rebooted, it seemed to have been replaced by eclipse from the software center. 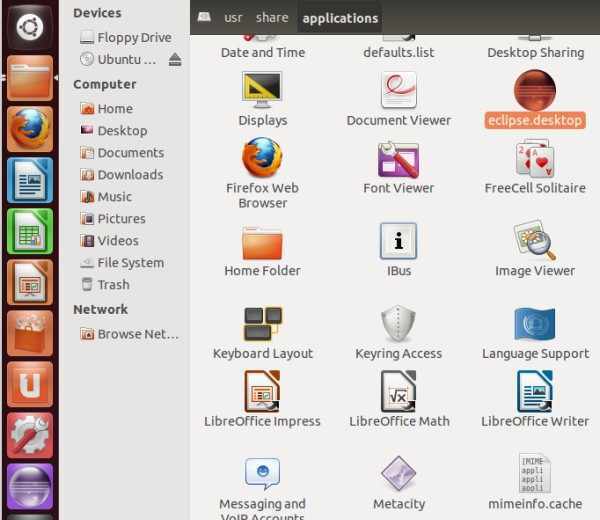 I am quite new to ubuntu or linux environment. Would you have any idea how to sort this out? Thanks. Thanks, It work for me..
i have kekpt the file in the mentioned folder but even i tried to keep it in “/opt/eclipse/eclipse” location as well but same error persists. it says Version 1.6.0_37 of the JVM is not suitable for this product. Version: 1.7 or greater is required! what should I do?